Here is another "why didn't I think of that" item! This new mount is designed around the 2-step module from Bailey Engineering and has room for other items as well. 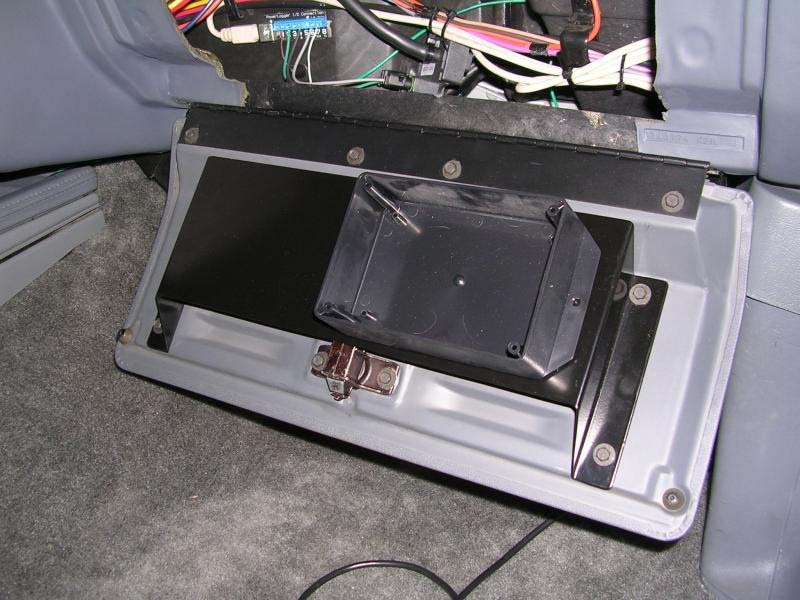 This mount replaces the original Glove box attached to the door so your items can be securely attached and hidden away nicely when not in use. Small pocket allows storage of registration / insurance cards, etc. Also useful to mount Alkycontrol module, Powerlogger module, Translator Boxes, etc. 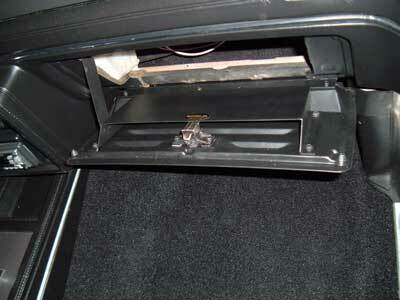 To install you have to remove the glovebox door and then remove the stock box itself. There is a simple trick to do this as the glovebox door lock must be removed to get the stock box away from the glovebox door. Explained in the You Tube video link below. This will fit all GM G-body cars from 78-88.
with the box for the Bailey 2-step module.